Nintendo is preparing to launch its online service on the Nintendo 3DS later this month with a bit of fanfare and celebration. It was already announced that Capcom would release an early version of Mega Man Legends 3 onto the eShop at launch, but it appears as though Nintendo has its own plan(s) for kicking the service off on the right foot. 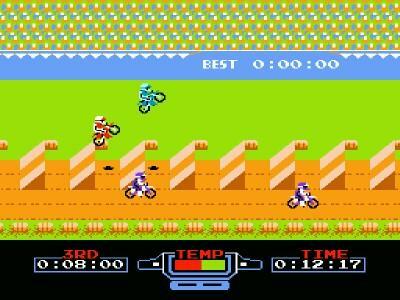 Nintendo will be releasing a free game to 3DS owners in the form of Excitebike 3D. The game is the first release in a line of 3D updates of classic Nintendo titles from the company’s history. The title is a 3-dimensional port of the classic, 8-bit NES title. Nintendo hopes to continuously support the eShop service with additional 3D ports of classic games as well as various Game Boy and Game Boy Color titles. The announcement of the free offering was made at a Tokyo press briefing last week. It was stated to be available through the Japanese eShop but is also expected to be made available in other regions when their respective eShops launch.